The falcons and caracaras are around 60 species of diurnal birds of prey that comprise the family Falconidae. The family is divided into two subfamiles, Polyborinae, which includes the caracaras and forest falcons, and Falconinae, the falcons, kestrels and falconets. Falcons and caracaras are small to medium sized birds of prey, ranging in size from the Black-thighed Falconet, which can weight as little as 35 grams (1.2 oz), to the Gyrfalcon, which can weigh as much as 1,735 grams (61.2 oz). They have strongly hooked bills, sharply curved talons and excellent eyesight. The plumage is usually composed of browns, whites, chestnut, black and grey, often with barring of patterning. There is little difference n the plumage of males and females, although a few species have some sexual dimorphism in boldness of plumage. They differ from other Falconiformes in killing with their beaks instead of their feet. They have a "tooth" on the side of their beak for the purpose. The family has a cosmopolitan distribution across the world, absent only from the densest forest of central Africa, some remote oceanic islands, the high Arctic and Antarctica. 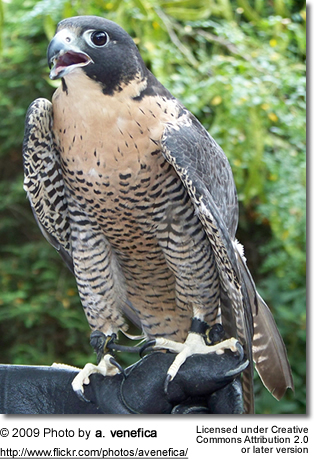 Some species have exceptionally wide ranges, particularly the cosmopolitan Peregrine Falcon, which ranges from Greenland to Fiji and has the widest natural breeding distribution of any bird. Other species have more restricted distributions, particularly island endemics like the Mauritius Kestrel. Most habitat types are occupied, from tundra to rainforest and deserts, although they are generally more birds of open country and even forest species tend to prefer broken forest and forest edges. Some species, mostly in the genus Falco, are fully migratory, with some species in Eurasia and wintering entirely in Africa, other species may be partly migratory. 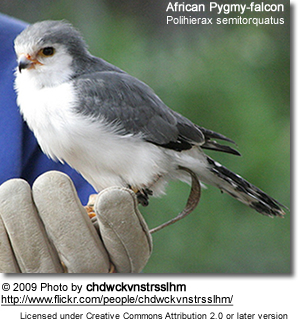 The Amur Falcon has one of the longest migrations, moving from East Asia to southern Africa. 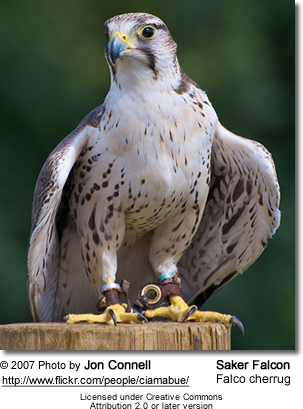 Falcons and caracaras are carnivores, feeding on birds, small mammals, reptiles, insects and carrion. In popular imagination the falconids are fast flying predators, and while this is true of the genus Falco and some falconets other species, particularly the caracaras are more sedentary in their feeding. The forest falcons of the Neotropics are generalist forest hunters. Several species, particularly the true falcons, will stash food supplies in caches. They are solitary hunters and pairs guard territories, although they may form large flocks during migration. Some species are specialists, the Laughing Falcon specialises in snakes, others are more generalist. The falcons and caracaras are generally solitary breeders, although around 10% of species are colonial, for example the Red-footed Falcon. They are monogamous, although some caracaras may also employ alloparenting stratergies, where younger birds help adults (usually their parents) in raising the next brood of chicks. Nests are generally not built (except by the caracaras), but are co opted from other birds, for example African Pygmy-falcons nest in the nests of weavers, or on the ledges on cliffs. Around 2-4 eggs are laid, and mostly incubated by the female. Incubation times vary from species to species and are correlated with body size, lasting 28 days in smaller species and up to 35 days in larger species. 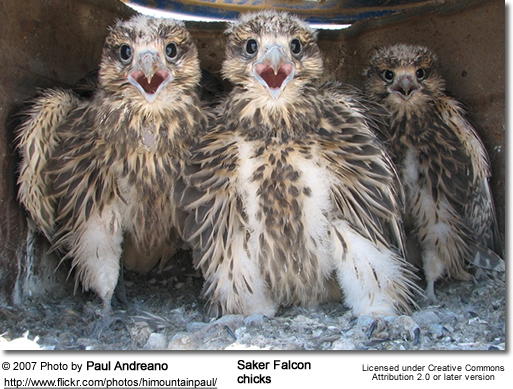 Chicks fledge after 28-49 days, again varying with size. Falcons and caracaras have a complicated relationship with humans. In ancient Egypt they were deified in the form of Horus, the Sky and Sun God, and was the ancestor of the Pharaohs. 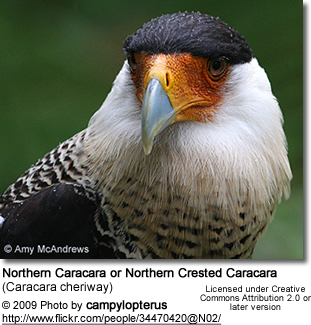 Caracaras also formed part of the legends of the Aztecs, and are today the national emblems of Mexico. Falcons were important in the (formerly often royal) sport of falconry. They have also been persecuted for their predation on game and farm animals, and that persecution has led to the extinction of at least one species, the Guadalupe Caracara. Several insular species have declined dramatically, none more so than the Mauritius Kestrel, which at one time numbered no more than four birds. 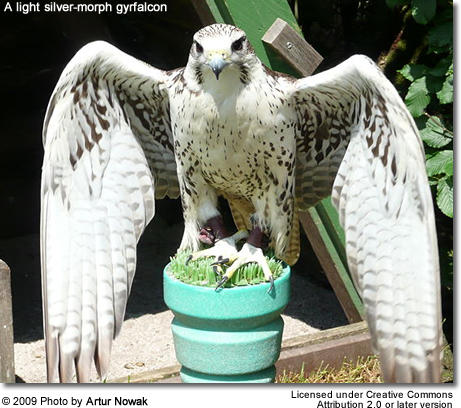 Around four species of falcon are considered vulnerable to extinction by the IUCN, with one species, the Saker Falcon, listed as endangered. Traditionally, all the raptors are grouped into 4 families in this single order. However, in Europe, it has become common to split the order into two: the falcons and caracaras remain in the order Falconiformes (about 60 species in 4 groups), and the remaining 220-odd species (including the Accipitridae – eagles, hawks, and many others) are put in the separate order Accipitriformes. A prehistoric family known only from fossils are the Horusornithidae. The idea that Falconiformes should be divided into many orders comes from the suggestion that the order may not share a single lineage that is exclusive of other birds. The most controversial but also most well-supported suggestion is that Cathartidae are not Falconiformes but are related to the storks, in the separate order Ciconiiformes. However, morphological evidence supports the common ancestry of the Falconiformes, and the Strigiformes may be very close to the Falconiformes as well. The American Ornithologists' Union reintegrated the New World vultures (family Cathartidae) into Falconiformes in 2007. This goes against the influential Sibley-Ahlquist taxonomy, in which all the raptors are placed into Ciconiiformes, but the Cathartids are considered to be outside the lineage that includes other raptors. While the latter is apparently correct, the "Ciconiiformes" sensu Sibley and Ahlquist are a paraphyletic, artificial assemblage and one of the weakest point of their classification scheme. "Sushkinia" pliocaena (Early Pliocene of Pavlodar, Kazakhstan) – belongs in Falco?